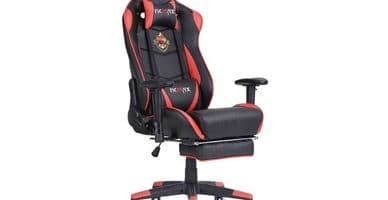 Merax Gaming Chair Review 2019 - Is It Worth Your Money? You probably already know that spending long periods in front of a monitor comes with adverse health risks. However, most gaming chairs that are designed to alleviate these symptoms are very expensive. Well, we’ve found one that isn’t. The Merax Gaming Chair is comfortable, attractive, but most importantly, affordable enough to fit almost any budget out there. We’ll be taking a closer look at this chair to help you decide if it’s the right product for your needs. Let’s begin with the simple stuff. This chair costs around $190, far less than most of its rivals. Additionally, it comes in a choice of three vibrant colors (red, blue, green). It definitely stands out from the crowd but we can’t help but think Merax went overboard with the logos – there are three of them! You might be thinking that since this chair is inexpensive, it’ll be fairly basic. The truth is that you couldn’t be more wrong. 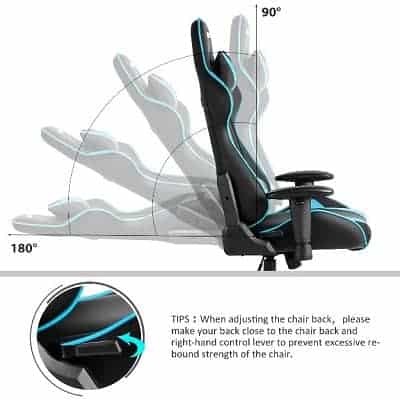 The Merax Gaming has detachable lumbar support and headrest cushions, tilt functionality, and is even capable of reclining up to 180°. Not bad, right? This chair has excellent ergonomics, in part because the armrests are adjustable too. They can be raised, lowered, or even removed if you’d prefer. There’s no horizontal movement, however. This isn’t a huge problem because the seat itself is wide enough so the user shouldn’t feel constrained. Now, this chair can support a maximum weight of 250 pounds. This is a little less than we normally see (the average is around 300 pounds). We imagine this is in some part due to the low overall cost of the product, but considering most people weigh less than this, it really shouldn’t be a problem. This chair remains comfortable even after extended periods of usage. In fact, it’s suitable not just for gamers, but also for anyone that sits for long hours at a desk. Programmers, office workers, really anyone could benefit from upgrading to this model. Really, our only complaint is the gratuitous branding. 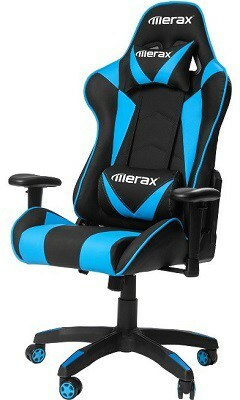 Gaming chairs are almost always very visually striking, but the Merax logos actually detract from its appearance. 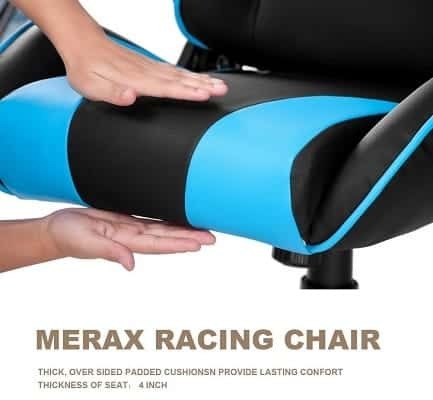 It’s as though the company was trying to make sure you wouldn’t forget them, but simply, if the chair is good enough, you’ll remember Merax without this kind of prompting. 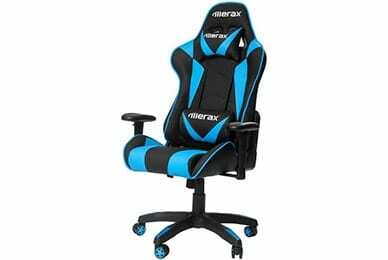 All things considered, the Merax gaming chair is an excellent choice for those on a budget. It offers much of the same functionality that more expensive models do, with a far lower upfront cost. Generally, low-cost gaming chairs don’t include the lumbar cushion, so that, in particular, was very nice to see. The Merax gaming chair is a pretty good office chair. 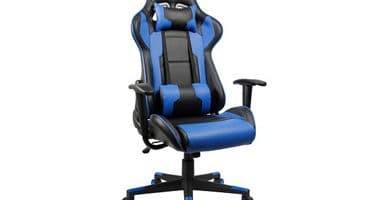 For under 200 USD, you can't expect much, but you actually get a lot for your money with this racing chair.